We started with the University Chorus, an ensemble open to anyone and directed by our Director of Music, David Allinson. They sang with great enthusiasm and we were all particularly amused by the split choir, with one half on either side of the room singing in perfect time. Following this was the University Symphonic Orchestra and the University String Orchestra, both conducted by Martin Outram. The pieces were wonderful, Particularly the Haydn Piece Symphony No.103. Utilising the best players, the piece was well rounded and lovely to hear. 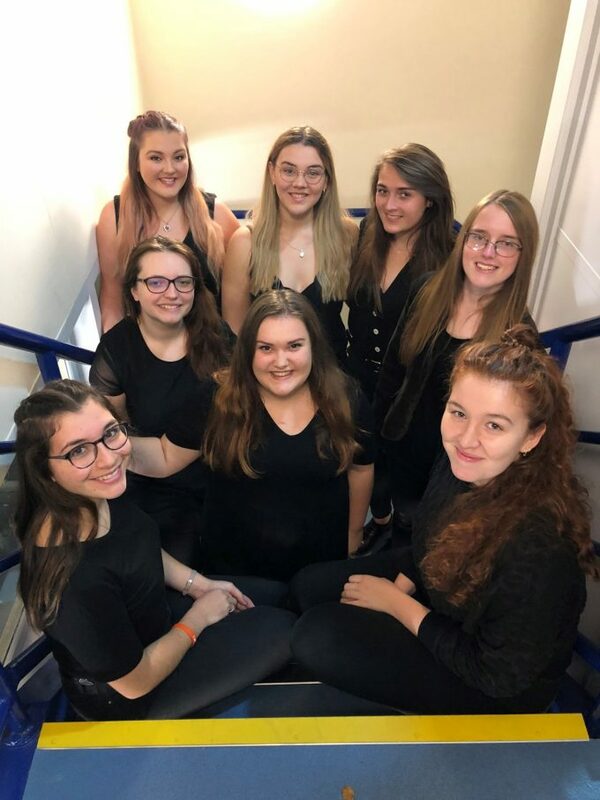 After the interval we have the Brilliant Top Voices, a 13 piece strong Female vocal group lead by Chris Price. They performed 6 short pieces all detailing different aspects of the Christmas story. The pieces were beautifully sung, My personal favourite being Maria Matrem Virginem by Michael McGlynn which was hauntingly lovely. Following them were the University Wind Ensemble, conducted by John Harle and Alan Rooke. These performed brought the pieces to life with their brilliant and sharp performances, Especially Gustav Holst’s Suite in F Major. Here I must commend the Flautist Lizzie White, who not only played the Flute brilliantly, but also the Piccolo, switching deftly between the two. Finally we were treated to Pieces from the Chamber Choir, a trio of beautiful Choral numbers, before rounding off with a festive number; Have yourself a Merry little Christmas. Under the direction of David Allison, these well arranged pieces became a fitting end to a lovely evening. From what i heard from the audience as they left, this performance was a resounding success, made only better by a few small Hero moments i would like to share. The first is to the brilliant violin pair whose battle against the Air-conditioner meant that their music fell from their stands several times. However, they played on as well as any professional i have seen, particularly when one of them held the page with her bow so that the other could play. And to the soloists of the evening, Ellie German, Emily Prest and Robin Davis, as well as all those in the Music Ensembles. Your voices were lovely and incredibly clear and we commend you for you wonderful performances.